Good material, well put together - should last a while. Instead of having sizing in small , medium and large, have separate inch sizing. What if someone had the collar size of a medium but arm length of a large? Response from Charles Tyrwhitt: While we do offer this more customisable sizing for our Formal range, our Casual range is based off the popular or standard sizing combinations, as casual wear can be worn with a little more leeway due to the relaxed style. We appreciate your feedback however, and perhaps our Formal or Business Casual ranges would be more suitable in the future. 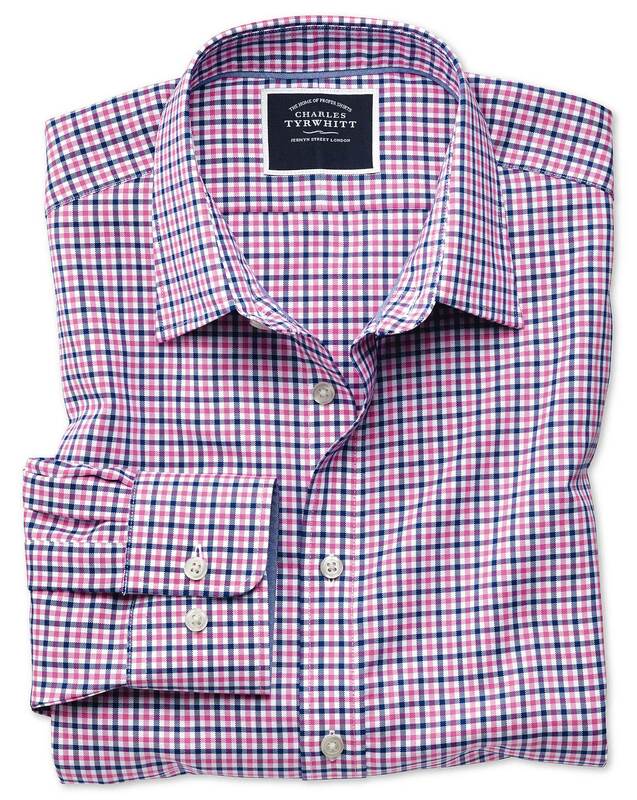 Response from Charles Tyrwhitt: I apologise for any miscommunication, a lot of our Casual range can look very much like our Formal shirts, but can be identified by the standard sizing they are available in, such as small medium and large. You can always select our Formal and Business Casual ranges via the filter on our website, where you will be able to select the perfect individual measurements.